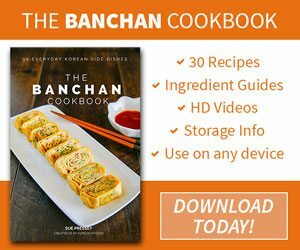 What is ssamjang and how to use it. Ssamjang (쌈장, Korean spicy dipping sauce) is a thick and spicy paste used as a dipping sauce when you make a wrap, which typically involves grilled Korean BBQ meat in a lettuce, perilla or steamed cabbage etc. You simply paste a small amount of sauce on to a lettuce leaf or meat with chopsticks or you can simply dive the meat into the sauce. 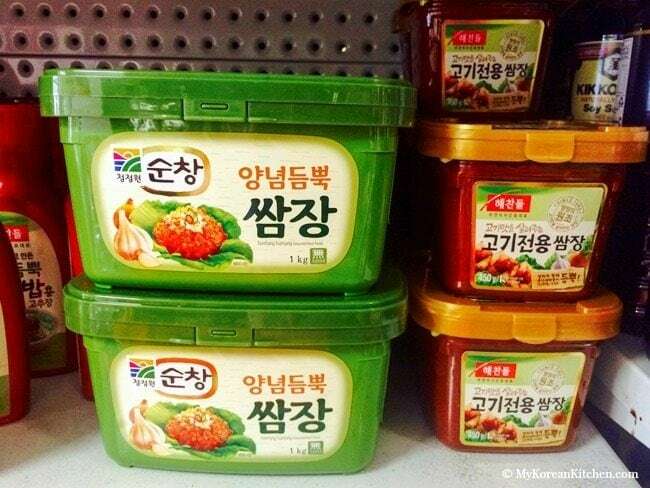 Typical ingredients for Korean Ssamjang include, Korean soybean paste (DoenJang, 된장), Korean chili paste (Gochujang, 고추장), minced garlic, minced onion, chopped green onion and sesame oil. However, you can make an even fancier version, using my recipe here, Korean BBQ dipping sauce. I don’t normally buy a big container for this, because I only use a small amount of it each time. 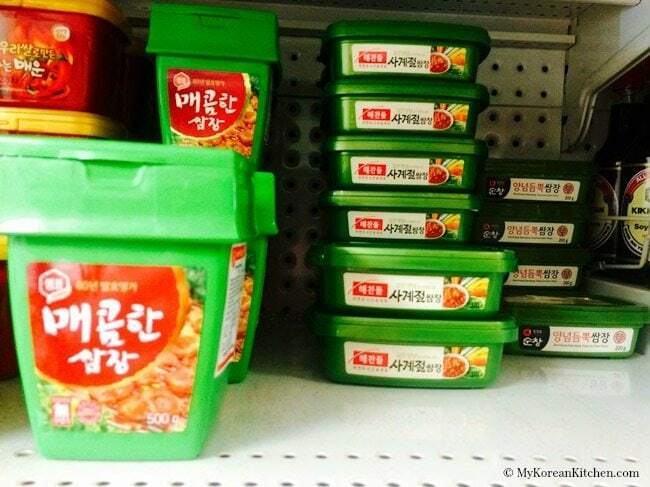 Below are some pictures of Korean Ssamjang varieties available at a Korean grocery store. Hi! 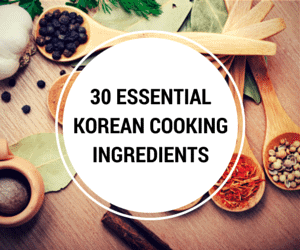 Can I use ssamjang paste for marinades? Or is it just a dipping sauce? I went to a Korean Mart here in the Philippines and asked the saleslady if there’s a mild hot pepper paste and she gave me a green tub with pure korean label on it. 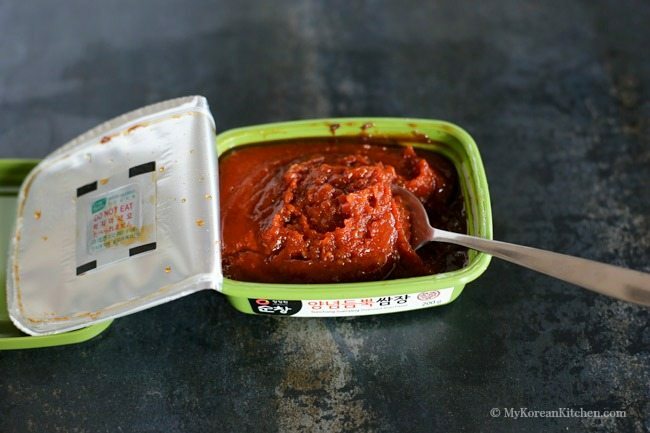 I thought it’s what you call gochujang but after researching I found out it’s ssamjang. Yes, I think it’s Pa Muchim. My recipe is here. 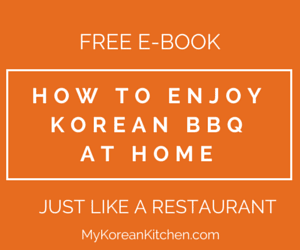 https://mykoreankitchen.com/korean-spicy-green-onion-salad/ Enjoy! Is store bought supposed to be cold or warm to eat? Also how long is it good for if you keep it refrigerated after opening? Hello,, where did you buy your ssamjang sauce? There’s a Korean grocery store called Asian Market on the NW corner of Southern & Dobson. They have everything Korean. is this what they use really? i never knew. i always thought the stuff in restaurants were doenjang. heheh its yummy if this is it.